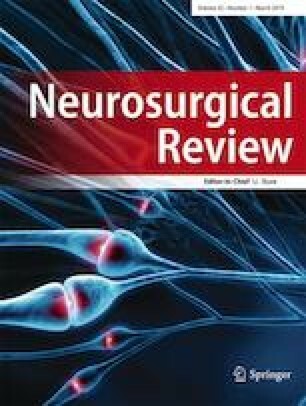 There has never been evidence for aneurysmal subarachnoid hemorrhage (aSAH) by endovascular coiling compared to surgical clipping with all grade. The present study and meta-analysis aimed to clarify the in-hospital mortality and poor outcome in the nationwide databases of patients with all grade aSAH between them. The outcome of modified Rankin scale (mRS) at discharge was investigated according to the comprehensive nationwide database in Japan. The propensity score-matched analysis was conducted among patients with aSAH in this database registered between 2010 and 2015. Meta-analysis of studies was conducted based on the nationwide databases published from 2007 to 2018. According to this propensity score-matched analysis, no significant association for poor outcome of mRS > 2 was shown between surgical clipping and endovascular coiling (47.7% vs 48.3%, p = 0.48). However, significantly lower in-hospital mortality was revealed after surgical clipping than endovascular coiling (7.1% vs 12.2%, p < 0.001). Meta-analysis of propensity score-matched analysis in the nationwide database showed no significant association for poor outcome at discharge between them (odds ratio [OR], 1.08; 95% confidence interval [CI], 0.93 to 1.26; p = 0.31). Meta-analysis of propensity score-matched analysis for in-hospital mortality was lower after surgical clipping than after endovascular coiling, however, without significant difference (OR, 0.74; 95% CI, 0.52 to 1.04; p = 0.08). Further prospective randomized controlled study with all grade aSAH should be necessary to validate the in-hospital mortality and poor outcome. All authors have made substantial contributions to the intellectual content of the paper, contributed to data interpretation, approved the final manuscript, and agree with submission to this journal. This work was supported by the Japan Society for the Promotion of Science, Grant-in-Aid for Scientific Research (C) 17K10829. The present study was approved by the Institutional Review Board of Hiroshima University (No. E-629). The requirement for informed consent was waived because of the anonymous nature of the data and the opt out method. Preferred Reporting Items for Systematic Reviews and Meta-Analyses guidelines. The registration ID number for International Prospective Register of Systematic Reviews is 93220.